I first met the Marianis at Redeemer’s mission sharing night about a year ago. As soon as Ron and Mary began to share about their time in Moldova, I was instantly captivated by them. Shining through their humanity was the heart of Christ—I saw Christ’s heart echoed in Ron’s passion, Mary’s light-hearted joy, their obvious love for one another and for everyone, it seemed, who they had met during their travels. Since then, I heard a rumor that the Mariani were “living like missionaries in their own Apple Valley neighborhood”. That was when I knew that I needed to get to know this couple a little bit better. I needed to know how to live intentionally like that wherever God has placed me. Because the truth it, it can be easier sometimes for me to minister on a foreign mission field, especially during short term trips when the daily strategy has already been mapped out. There are, of course, enormous challenges to be faced in foreign mission fields, cultural barriers, spiritual warfare, and tedious health issues, just to name a few; but what I have really been wrestling with are the challenges unique to a more familiar mission field—the mission field where comfort and routine are the distractions to living with intentionality for God’s glory. I wanted to sit down with Ron and Mary and ask them, how is one to experience God and His Kingdom with the potency known during those short-term mission trips in the familiarity of home? 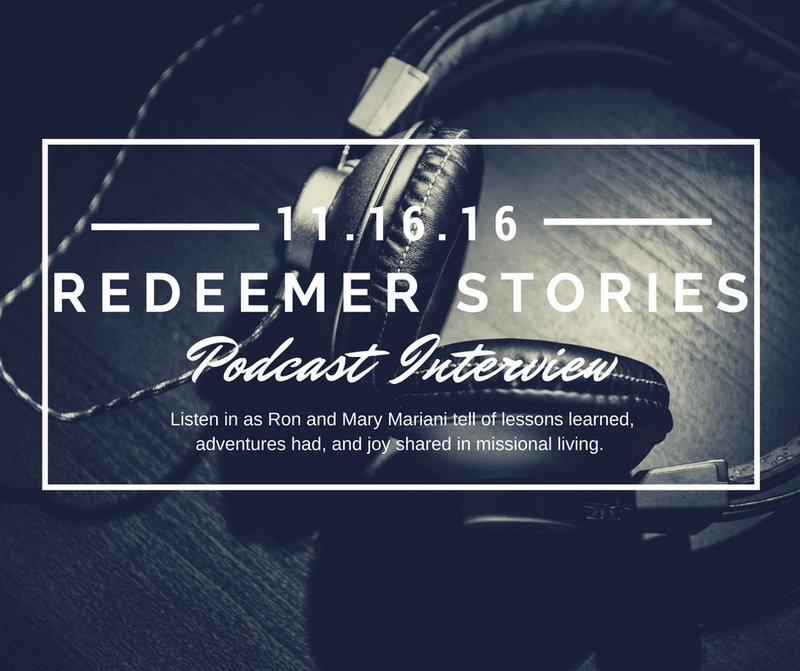 And Ron and Mary exceeded my expectations as they answered my questions and let me explore some of the things I have been wresting with. They shared story after story from their 50 years of marriage together, offering insight they had gained from both success and failure. It was fascinating to see how they work together on mission as a couple, leaning on each other’s different strengths as they share in the same passion. Surprisingly, it was the simplicity and joy of their mission that struck me the most. They love Jesus and they find great joy in others coming to know their greatest love. I gleaned so much from hearing their stories and insights and I am thrilled to share them with you. So listen, and enjoy!